For more than 40 years, the United States has recognized the month of February officially as Black History Month. Born out of a need to emphasize the contributions of blacks within American history, Black History Month has played an important role in highlighting blackness and black excellence in America. In addition, the month long celebration has also sparked a continuous dialogue on its relevance beyond the second month in the calendar year. A debate two years ago on whether the month is necessary has since re-emerged. In 2017, we talked with experts about its importance in the wake of the present political and social climate. City officials and leaders from more than 70 cities across the country including Washington D.C., Atlanta and Philadelphia, commemorated the start of Black History Month with a coordinated moment of silence. The gesture was to honor Echol Cole and Robert Walker, two Memphis, Tennessee sanitation workers crushed in 1968 in the compactor of their garbage truck. Following their deaths, Memphis area sanitation workers went on strike, leading Dr. Martin Luther King Jr. to Memphis where he was assassinated at the Lorraine Motel on April 4, 1968. Here is a list highlighting some of the many Black History Month celebrations taking place in various cites this year. The Center for Civil and Human Rights will host a special screening of “Behind the Movement,” a retelling of Rosa Parks and the Montgomery Bus Boycott on Feb. 2. The Georgia Institute of Technology will host their fifth annual Black History Month Lecture, themed “Giving Voice to Justice for 50 Years” on Feb. 7. In addition, this year the Black History Month Parade will pay homage to its co-founder, Earl Little who along with Charles Johnson launched the parade in 2012. Both Little and Johnson have died from cancer since founding the parade. The parade, scheduled for Feb. 24, will stretch from the historic Sweet Auburn District Downtown to Centennial Olympic Park. From the Kennedy Center to the Smithsonian Museums, our nation’s capital will be a hotbed of attractions and events during this year’s Black History Month observance. Sweet Home Café within the Smithsonian’s National Museum of African American History and Culture at the Smithsonian will celebrate the women chefs behind the café, as well as feature special menus inspired by African-American chefs. In addition, the Kennedy Center will feature the Alvin Ailey Dance Theater on Feb. 6. The DC Commission on the Arts and Humanities has also compiled a brochure of events available in the district throughout the month here. Each year, Nashville celebrates the month with a series of events from musicals to exhibits to festivals. Tennessee State University will host the 36th annual Nashville Conference on African American History and Culture on Feb. 9. In addition, the Frist Center for the Visual Arts will host an exhibition: Slavery, the Prison Industrial Complex, starting Feb. 23. More events can be found here. The City of Brotherly Love continues their tradition of reflecting on the contributions of African-Americans through special events, screenings and discussions according to the visitor’s bureau. Students, grade five through eight, are invited to participate in a Black History Month essay contest, sponsored by the Lucien Blackwell West Philadelphia Regional Library, where they can win a cash prize of up to $100. “Henry “Box” Brown: A Hip Hop Musical,” a play about a slave who mailed himself from Virginia to Philadelphia in 1849, will premiere at the New Freedom Theatre through Feb. 18. Visitors and residents of Philadelphia can also enjoy a performance of Drumming Traditions of Brazil, West African, and India by Temple University students. Check out additional events here. From the Schomburg Center for Research in Black Culture, to the Apollo Theatre, to the Botanical Gardens in Queens, New Yorkers and tourists have their fill of options to choose from to commemorate Black History Month. On Feb. 10, the Schomburg will host youth from grades five to 12 for the second annual Black Lives Matter Teen Conference. Members of Black Youth Project (BYP100) will facilitate sessions on Black Queer Feminism and Decolonizing Sexuality and Gender. Wagner College will hold their 12th annual Tribute to Black Music on Feb. 22. Brooklyn residents will be able to enjoy the fourth annual Black History Month Celebration at the Brooklyn Borough Hall on Feb. 22. Residents can also learn more about the Black experience through Black History in NYC Parks. For a list of additional events, check here. Home of the Blues. Birthplace of Rock & Roll. Memphis has a number of nicknames, but is also known for being the location for the assassination of Dr. King. This year, Memphis will also be epicenter for “MLK 50,” the 50th anniversary of King’s death. However, before that, the city will commemorate Black History Month with a series of events, from a musical tribute to Dr. King to a photographic exhibition. 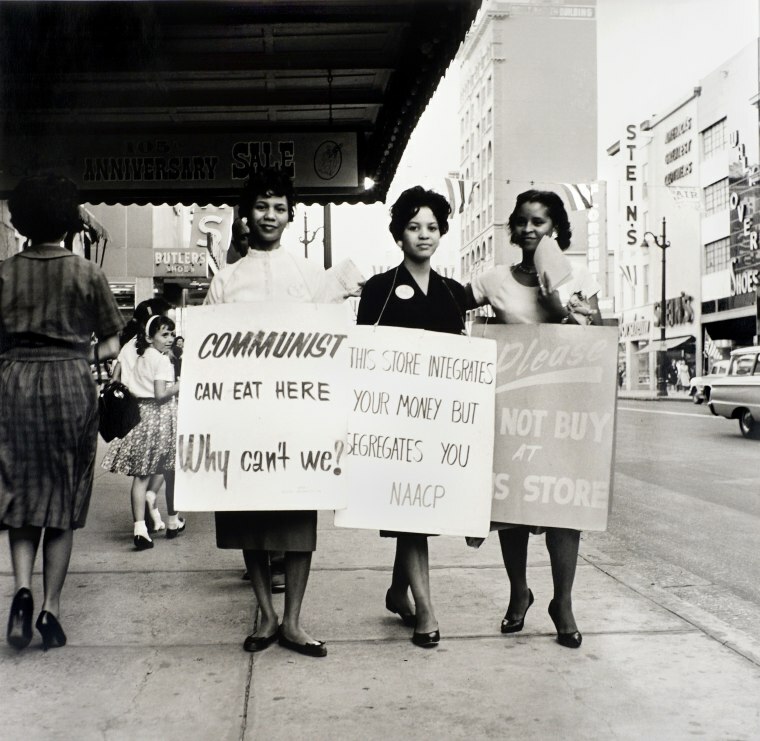 Visitors are able to view the iconic photography of Ernest C. Withers, considered one of the unofficial photographers of the Civil Rights Movement as part of a special exhibit called, Black Resistance: Ernest C. Withers and the Civil Rights Movement at the Memphis Brooks Museum of Arts. Hattiloo Theatre will also present “Selma: A Musical Tribute for Dr. Martin Luther King, Jr.” from Feb. 23 through mid-March. A list of additional events can be found here. The Motor City has an array of options for anyone looking to celebrate the advancements of African-Americans, from a discussion on women in “Hidden Figures” to learning experiences for the entire family. The General Motors African Ancestry Network will hold their 12th annual Black History Month Celebration on Feb. 9 at the Detroit Marriott Renaissance Ballroom. The Michigan Science Center will also teach visitors about the work of African-American scientists throughout the month.